Inner City Environmental were given the role of asbestos removal contractor by Kier Construction for the Chestnut Grove Academy project. The building was a primary school but is now unoccupied. The works have been spread over numerous phases with the current phase being programmed for approximately 6 months. 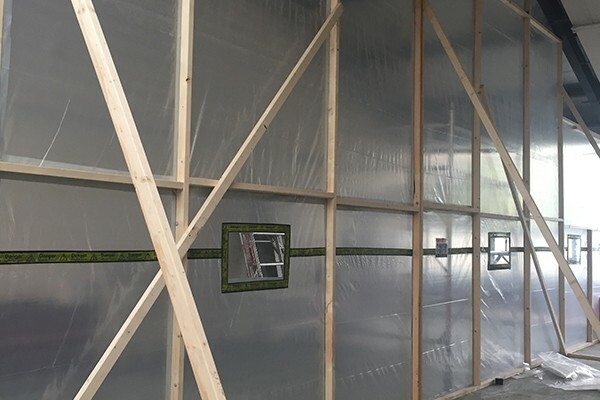 Armstrong York completed a Demolition and Refurbishment for the building, which identified all of the asbestos materials throughout the structure. Enclosures were erected using 1000-gauge polythene, incorporating the air locks and bag locks. CCTV systems installed in the enclosures to ensure that the works can be clearly viewed from the outside. The removal works involved the removal of asbestos insulation board (AIB) from various places around the school. A large amount of asbestos containing textured coating is to be removed from the ceilings. The area is then firstly inspected but the Supervisor before being handed over to an analyst who will conduct their own inspection, followed by an air-test being completed before handing the areas back to Northeast Demolition so that the building can be demolished.